GramZero Sugar Free Gelatin Mixes are naturally, sugar free gelatin mixes that are sweetened with Stevia and fortified with 20% RDA Vitamin C. They taste like sugar sweetened gelatins with no aftertaste, yet register zero grams of sugar, zero calories and zero sugar alcohol. If you have any questions about this product by GramZero, contact us by completing and submitting the form below. If you are looking for a specif part number, please include it with your message. 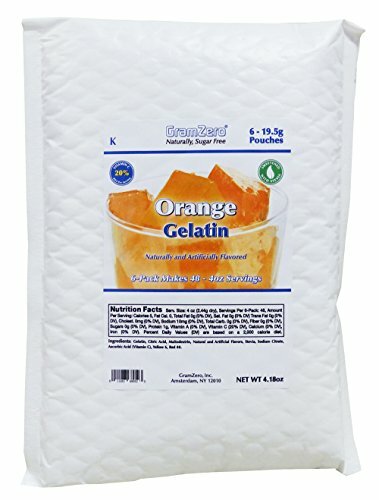 Lieber's Gelatin Unflavored Pure Gelatin Kosher For Passover 1 Oz. Pack Of 3.